Few of those who crawl in the dust of ancient empires that litters the dying World of Zarth even suspect of the mayhem that rages in the skies above their heads. Of the wars fought between the evil Uzil and the insane Yikirk. The clashes between the Space Gypsy Skyships and the foul luminous floating discs of Olz. The insane gravity of the Topaz moon or the ominous silence of the Dark Star. But the Grand Astronomer of the Crystal Moon summons you the appointed heroes from your Zarth bound life, to rise up into space to rescue the Princess Zarisula from the clutches of the Fiend who would be Emperor of known space. So grab your flame lance, don your crystal armour, prime your needle gun and set sail on Rocket Ship Zargaz to the Obos, the moon of Infinite Doom! 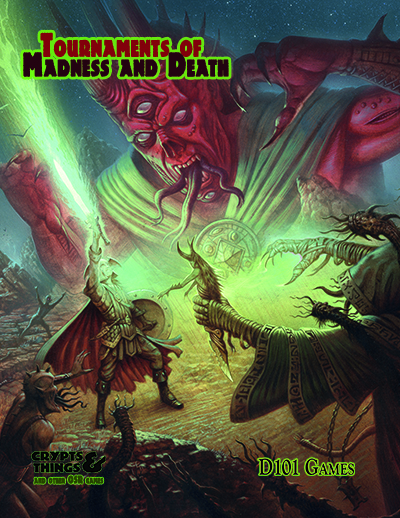 Planetary Romance meets Swords & Sorcery using the OSR D&D rules of Crypts of Things.